Each type of menu control has its own specific target use case. The following sections offer guidelines for choosing the appropriate type of menu control, depending on the use case. 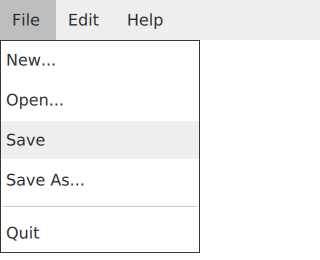 Menu control can be used for context menus; for example, after right-clicking. It can also be used for popup menus; for example, a menu that is shown after clicking a button. MenuBar control can be used for window menu bars.